Find out what happened when we exhibited at the Vitae conference on January 26! Plus, get your hands on some useful Vitae resources, aimed at current and aspiring leaders. Last week we exhibited at “Developing the next generation of research leaders”, an event organised by Vitae, a UK body dedicated to international researcher career development. 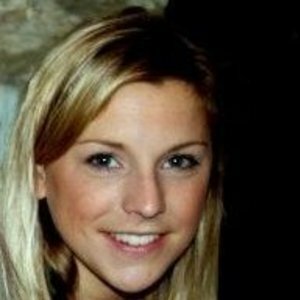 Do the available development opportunities respect the diversity of individuals and the diversity of future career paths? Among the 60+ attendees were researcher developers, staff developers, research managers, careers advisors, principal investigators and senior academics. The day was split into four and in the second part, entitled “Preparing future leaders”, we got to hear the views and experiences of some current and aspiring academic leaders. 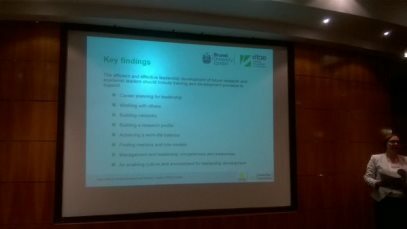 Dr Robin Mellors-Bourne, Director of Research and Intelligence at CRAC/Vitae, spoke about the two surveys: Careers in Research Online Survey (CROS) and Principal Investigators and Research Leaders Survey (PIRLS). Robin reflected on what the survey results tell us about research leadership development - for example, PIRLS indicating that PIs view "nurturing researcher careers" as one of the most important behaviours for excellent research leadership. Natacha Wilson, Research Consultant and Director of Cambridge Insights, then spoke about her research project; interviewing 60 PIs to better understand how researchers prepare for, and deal with, the transition from postdoctoral researcher to PI. In the third part of the day, Dr Fiona Denney, Director at Brunel University London and Dr Katie Wheat, Training & Resources Development Manager at Vitae, introduced us to a new good practice resource called “Developing the next generation”. The resource is based on a research project led by Brunel University and Vitae, and funded by Leadership Foundation for Higher Education (LHFE). The project’s aim was to uncover what academic leaders wish they had known when they started, and it set about achieving this through interviews with research leaders. You can download the resource, which contains toolkits and guidance, from the Vitae website. 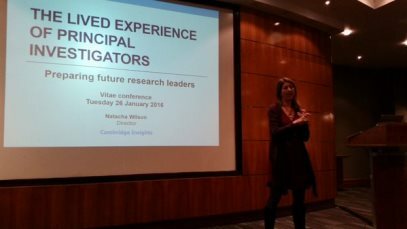 The January 26 event was just one part of Vitae’s “focus on leadership”, which runs from February through to April! 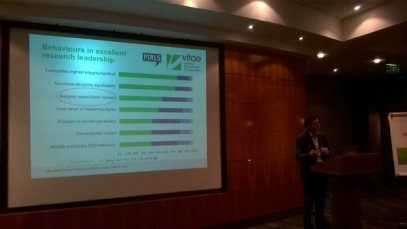 Vitae have a whole suite of resources for leaders and aspiring leaders - including "Leadership development for PIs". See more on Vitae's "focus on leadership" here.